Protection and safety, financial incentives, beautiful and warranted. These benefits come to the top of the list for the use of our Classic Metal Roofing Systems on assisted living facilities. One building, or twenty, new build or renovation, a choice for the long-term performance and service of quality metal roofing brings lasting value to assisted living organizations. A long-term, maintenance-free solution, a Classic Metal Roof will save you time and money otherwise spent on maintaining and replacing other roofing systems. Your potential and current residents will see and appreciate the significant upgrade a Classic Metal Roof will bring to your facilities. 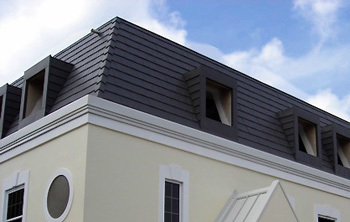 With shake, slate, shingle, and vertical styles to choose from, any Building receives lasting beauty and enhancement. Especially in this market segment, curb appeal is extremely important. We understand that the impressions of a first time visitor, or visiting family will relate to the perceived level of care and attention to detail of what goes on inside. Make sure that your facility reflects your organizations’ commitment to quality. Aluminum’s natural reflectivity combines with special pigments and built-in thermal breaks to decrease your energy bills by up to 20%—again conserving your organization’s valuable resources. Metal roofs have been proven to prevent the spread of fires. Windblown embers from forest fires or nearby flames do not pose a threat to a metal roof. Our metal roofs prevent the spread of a fire across a facility—keeping your tenants and their belongings safe. You can learn more about the safety of our roofing systems in the event of fire, here. All of our roofing systems have received the Class IV UL 2218 rating for hail resistance that maintains the integrity of your facilities. 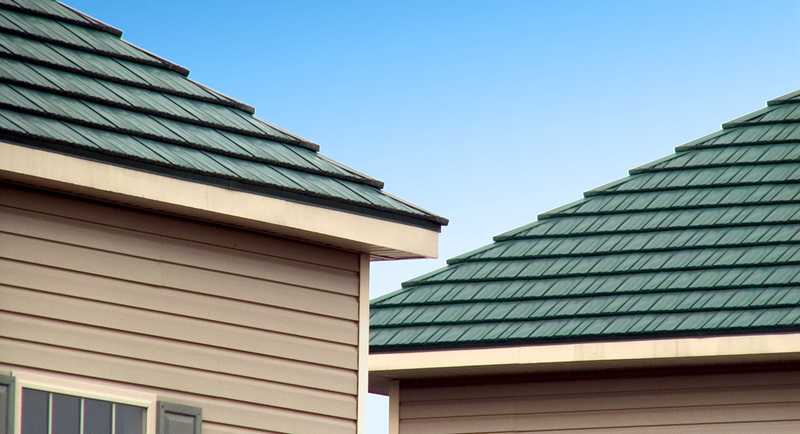 Each Classic Metal Roof is warranted to withstand 120 mph winds. Here’s a short video with some details on wind resistance. With over 30 years of industry-leading experience manufacturing metal roofing systems that have made financial sense for thousands of owners of single-family homes and commercial properties, we are pleased to bring metal roofing to assisted living and long-term care facilities. No matter the size or number of assisted living facilities you plan to renovate, improve, build, or simply replace the roof on, we can help. Our knowledgeable and caring team members are available to talk with you, provide more information, and help you continue caring for others. And, on top of these benefits, you will also receive what we have become most known for...even our competitors agree...we manufacture the world’s most beautiful metal roofs. Our roofs will blow you and your residents away with their curb appeal—inevitably increasing your occupancy rates. And, thanks to our unique manufacturing technology, you get all of this beauty at a cost that is equal to or less than most other metal roofs!